SHL has announced that it will exhibit at Pharmapack Europe in Paris Expo Porte de Versailles Hall 4. The event will be held from 1 February to 2 February. Visit SHL in booth #H44 to learn more about its devices, packaging solutions, and innovative offers. As a forward-looking company with extensive knowledge and experience, SHL delivers solutions for today on the path to tomorrow. SHL will show a full range of drug delivery devices, including time-tested solutions in disposable auto injectors and pen injectors. 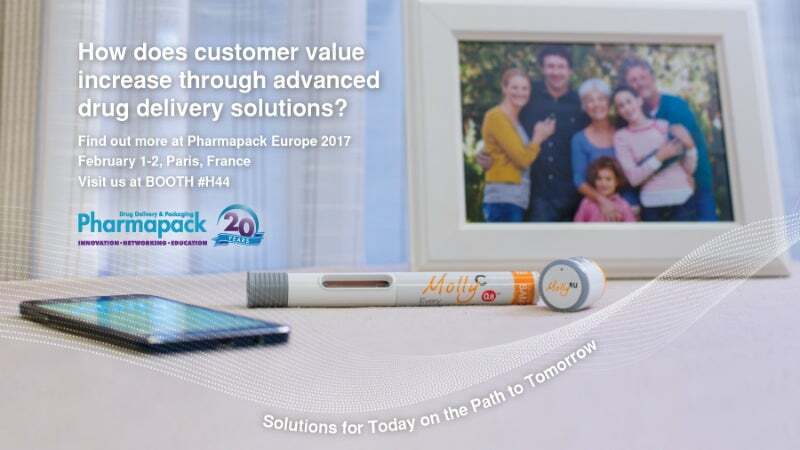 At the center of attention will be the innovative auto injector platform Molly®. From higher volume to connectivity, Molly® devices can accommodate a wide range of requirements from SHL’s biopharmaceutical and pharmaceutical partners. Another highlight of this year’s exhibition, high-viscosity devices will be available for demonstration. SHL representatives will discuss these devices along with other services and capabilities available through its comprehensive network, including development, manufacturing, and commercialisation solutions. Digital technology in pharmaceutical packaging is the focus of this year’s conference. SHL will showcase its latest development in the area of smart packaging, FlexRec for multi-medication tracking. FlexRec blister pack is a concept developed by SHL in cooperation with Nelipak, a leading manufacturer of custom thermoformed healthcare packaging. This new system enables increasingly smart and simple medication tracking and adherence improvement. SHL is proud to announce that its most recent device add-on solution the ENYA Platform, developed in partnership with Innovation Zed, will be displayed in the Innovation Gallery and will be competing for Pharmapack Europe Awards. ENYA is a smart add-on device, which automatically tracks injection pen usage on-the-go without user input.